I felt that the average stuff didn’t challenge me enough, and I felt that subjects like diabetes were pretty challenging, high blood pressure, rheumatoid arthritis, cancer, those things in internal medicine, where the tough cases always existed also geriatrics, because patients have many conditions. In 1979 he had been appointed as Registrar in Medicine at the Royal Perth Hospital and he was in the process of exploring a number of specialties and now it was his turn to study gastroenterology in depth. He had no real desire to specialize in this field but Warren’s discovery of bacteria in sterile stomachs did interest him. He always liked a challenge and, as he was encouraged to take on a research project in each year of his specialist training, this could be a neat project he could complete and then move on to another field. In fact, this project would be the makings of his career. I was especially interested because one of the people on Robin’s list was a woman I had seen in my ward, who had severe stomach pain but no diagnosis. In desperation we had referred her to a psychiatrist and commenced antidepressant medication for want of a better treatment. The only abnormal finding had some redness in the stomach and Robin’s bacteria on the stomach biopsy. Marshall was intrigued why the presence of bacteria hadn’t previously seen by others. So he searched the past and current literature on gastric bacteria and found that spiral gastric bacteria had been reported many times over the last century but passed over. And yet, the prevailing wisdom was that bacteria could not exist in the stomach. At the end of 1981 Marshall designed a study to select 100 people who were coming to hospital to have stomach biopsies. Approval was granted by the ethics committee to have additional biopsies taken and the six week program was launched early in 1982. Marshall had no trouble gaining the permission of patients to carry out these tests as he says he has a knack of communicating clearly and succinctly in a way that people can understand. It was also a double-blind study whereby the researchers would only learn about the patients after the results were processed, thus removing any chance of bias. In order to understand more about the bacteria, Marshall needed to grow a culture. It would then possible to conduct tests to see, for example, which antibiotics could be effective against it and to determine if ingesting the culture into an animal would cause the disease. Warren and Marshall could see that their spiral bacteria had some similarities to a known organism called Campylobacter jejuni but the culturing technique successfully used with this organism did not work with their new organism. It was April 1982 before they finally understood the conditions required to grow a culture. Marshall was then able to proceed to identify an antibiotic which would kill the bacteria. But there was no success forthcoming in the animal research using rats and pigs. In the second half of 1982 he was the physician at Port Hedland Hospital, a rotation to a point 2,000 kilometres (1,200 miles) north of Perth. This gave him the chance to fully analyse the results of the study and write it up for presentation. The results were surprising. First, the presence of bacteria was not related to any significant symptoms, only bad breath and burping. This meant that the bacteria could be present in a person’s stomach and they not be aware of it. Secondly, the gastroscopy reports of patients with ulcers showed most gastric ulcers were associated with the infection, but every patient with a duodenal ulcer was infected with the bacteria. Warren and Marshall were now in a position to tell the world. Their concern was there was nothing to stop others from making the same findings and they should make their claims first. Marshall presented the preliminary findings to the local College of Physicians meeting in October 1982. The response was mostly negative with the objection being that the findings of a correlation between stomach inflammation and duodenal ulcers was simply wrong. This was Marshall’s first real experience of evidence being ignored by the “experts” under the illusion of their knowledge – their worldview. The next opportunity was a presentation at a meeting of the Gastroenterological Society of Australia to be held in Perth in May 1983. Their abstract was rejected, apparently on the basis it wasn’t viewed as being important enough. By this time Marshall was back in Perth working as Senior Registrar, General Medicine and Gastroenterology at the Fremantle Hospital. The medical staff were mostly supportive of the work Warren and Marshall had done, especially the staff microbiologists. While pathology is a medical specialty looking at disease processes and their cause, microbiology deals with the isolation and identification of infectious agents such as bacteria, viruses, fungi and parasites that cause disease. One of the services of clinical microbiologists is to culture bacteria. If the gastroenterologists weren’t interested, maybe microbiologists could help, and indeed they did. The Lancet is a peer-reviewed medical journal of high standing so was a good place to be published and gain credibility. The problem was their initial letters sent in January 1983 – one from Warren and one from Marshall – were not accepted at first due to the lack of peer reviewers. The bright light was being accepted for presenting at a meeting in Brussels in September, 1983. This was helped after Marshall was put in touch with Dr Martin Skirrow, a renowned clinical microbiologist in the UK. He was able to replicate Warren and Marshall’s observations and was instrumental in recommending for The Lancet editor to go ahead and publish their letters. Their letters appeared in The Lancet on June 4, 1983. The letters got virtually no reception. There were a few microbiologists who read them. But gastroenterologists could not assimilate it or use it. They would hardly ever treat anybody with antibiotics. Infectious disease was not what they did. There were now small pockets of people who replicated and supported their work but there was still rejection by most gastroenterologists. The issue now facing Warren and Marshall was the common view that these bacteria were not the cause of stomach disease but came along after the event. If Marshall could show that the ingestion of the bacteria into a previously healthy animal resulted in gastritis and/or ulcers, then this would be proof. They tried this on rats and pigs for months but for various reasons it didn’t work out. So it was in June 1983, the same month The Lancet published their letters that Marshall decided to take the bacteria himself and see what happened. He felt it was possible the hospital’s ethics committee would not sanction this experiment and so he proceeded with only a couple of people knowing. Even his wife wasn’t aware of what he was planning to do. After undergoing a stomach biopsy to confirm he didn’t already have the bacteria, he drank a broth containing the bacteria cultured from a patient with gastritis. The result was startling. Within a few days he was feeling unwell and vomiting up clear liquid. That’s when he had to tell his wife what was wrong with him. Another biopsy confirmed he had inflammation of his stomach lining which was cured after a short treatment with antibiotics, much to his wife’s relief. He now believed this was all the proof they needed to convince the medical establishment of that the bacteria was the cause of these stomach ailments but there would in fact be years before this happened. But to many observers, one experiment is not enough, especially when the subject of an experiment is the researcher himself. The next major step was the publication of their joint paper in the June 1984 issue of The Lancet. Again there was little result other than more researchers studying the bacteria and repeating their results. The bacteria was initially called Campylobacter pyloric but eventually given the name Helicobacter pylori. Then something interesting happened when The New York Times published an extensive article about the discovery on July 31, 1984. This article and derivatives from it also appeared in newspapers around the world and sparked such interest from patients suffering from gastritis and ulcers that doctors were contacting Marshall for information on how they could treat their patients. Also news of Marshall’s act of infecting himself with the bacteria leaked out to the mainstream press even though a paper describing the experiment was not published until 1985. But much more work needed to be done before acceptance would be widespread. One issue was that of finding the most effective treatment régime. Bismuth had been used to treat gastric diseases for 200 years and was also used as an ulcer treatment. The problem was that these diseases could reappear after a year or two. It turned out that the best treatment was a combination of bismuth with selected antibiotics. This took time to sort out to make sure there was no reoccurrence one or two years later. Also many in the medical profession were skeptical of previous miracle claims which failed to deliver the promised outcomes and preferred to wait. Some critics would claim that Marshall’s expectation of a quick acceptance of the new approach was unreasonable and that it’s to be expected that a development of this type would take many years to find full acceptance. From Marshall’s point of view he was impatient and frustrated that the simple treatment of antibiotics was not being used enough and that lives were being unnecessarily lost. Over the next few years Marshall continued to work on further aspects of the Helicobacter pylori organism, working both in the USA and in Australia. While Marshall had become the main driver in the ongoing research, Robin Warren still contributed to it while staying on at the Royal Perth Hospital doing the job he loved, pathology. He retired in 1997. Their ideas were recognized officially in February 1994 when the National Institutes of Health in the US issued a “consensus statement” declaring that Helicobacter pylori was a gastrointestinal pathogen and that ulcer patients infected with the microbes needed antibiotics as well as anti-acids. Both Warren and Marshall received numerous awards from 1989 onwards culminating in the 2005 Nobel Prize for Physiology or Medicine. Warren and Marshall made the ideal combination as change initiator and change master. Robin Warren had the ability to see the anomaly of unexpected bacteria in biopsies and proceed to explore their significance in the face of disinterested colleagues. But he also knew he needed someone better equipped to follow through with further research and bring about the needed change in the treatment for gastritis and stomach ulcers. 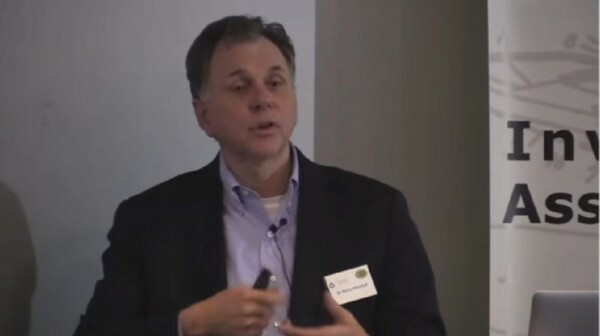 Luckily he found the right person in Barry Marshall who could see the big picture, was a good salesman – even good salespeople face rejection from time to time, was good at making the right connections with the wider world, and was creative and determined to bring about change to the institution that mattered – the medical profession. The story also demonstrates the problem of highly-trained medical specialists living in their “silos” and not working enough with those in other disciplines. Posted in Change, Change Maker, Change Management, Change Master and tagged 2005 Nobel Prize for Physiology or Medicine, barry marshall, change master, changemaker, gastritis, Helicobacter pylori, managing change, stomach biopsy, stomach ulcer.